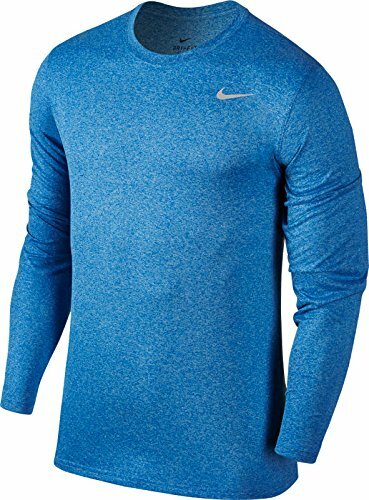 The Nike Legend 2.0 Men's Training Shirt offers a light layer of comfort as you train with soft, sweat-wicking fabric. Dri-FIT Technology helps keep you dry and comfortable. Long sleeves enhance warmth in cooler temperatures. Dri-FIT 100% polyester. Machine wash.
Long sleeves enhance warmth in cooler temperatures.